LONDON — As International Executive Director of The Ehlers-Danlos Society, Lara Bloom travels the world, fighting through traffic, crowds, and airport security lines to join conferences, symposia, various working groups, meetings and medical panels in her daily quest to grow awareness, advance research, and improve the lives of people living with the Ehlers-Danlos Syndromes (EDS), hypermobility spectrum disorders, and seemingly countless associated symptoms and conditions. For Bloom, this work is more than altruistic, it’s a personal journey. “My job is to make the invisible, visible—and help to advance EDS/HSD research in any way I can,” states Bloom. 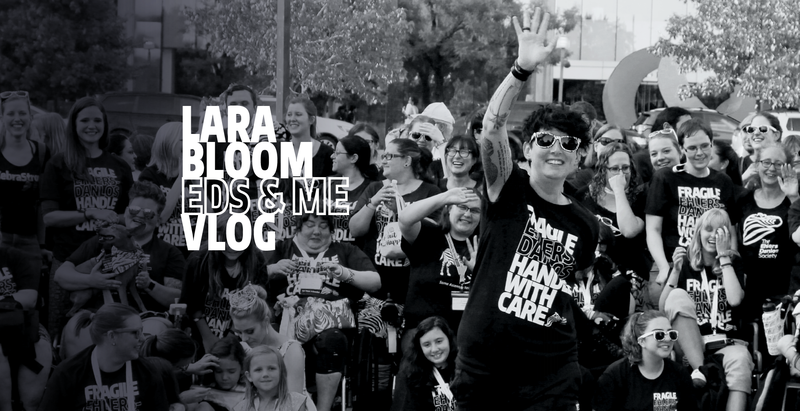 At nearly every stop in her travels, Bloom tries to connect with as many people as she can in the EDS/HSD, chronic pain, and rare disease communities through social media posts and live video feeds. Through “EDS & ME,” a video blog chronicling her life living with hEDS and running a global organisation, Lara seeks to share the encouragement, health tips, and life hacks she learns along the way. Subscribe to her channel and tune in each month for a new episode of EDS & ME and prepare to laugh, cry, and be inspired to improve your life and the lives of those living with EDS and HSD throughout the world.